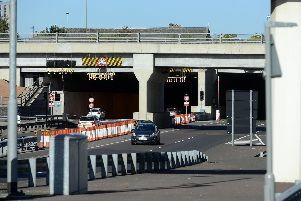 South Tyneside commuters use the Tyne Tunnel. Option one exempts taxis and buses from paying a toll but charges car owners £1.70 and lorry drivers £3.70 each time they cross any of the three main bridges in and out of Newcastle. Option two would be to designate a Clean Air Zone. This alternative proposal would affect drivers in Newcastle, Gateshead and part of the Coast Road with them being liable for charges ranging from £12.50 for old cars to up to￡£50 for lorries. The third option being explored is an emissions cut-off for Newcastle city centre, which would ban all vehicles except private cars. Addressing pollution from traffic is necessary and do-able, but as these plans stand, we could be facing a tax on the south of the River Tyne. Many people commute from South Shields to Newcastle on a daily basis, I used to make this very journey myself. The people who will be hit worst by these proposals are in fact residents outside the problem area, so in effect the proposals are penalising those working, studying or visiting the north of Tyne area. Worse still, the tolls that have been mooted are not guaranteed to bring emission levels to the required approved levels. I am hoping that the North East Combined Authority Transportation Committee (made up of all seven local authorities in our area – including South Tyneside) will have a voice on these matters. The committee needs to ensure that people from Shields and across South Tyneside are not out of pocket as a result of air pollution affecting other areas. I am also hopeful that the committee will explore other options such as much needed improvements to our public transport network, car sharing lanes and safer bike travel. There should be no reason why my constituents should be penalised for this government’s long-standing inaction on pollution. The Tories have in effect put a countdown clock on this project, when actually it requires and deserves much more thought and consideration. A rush job simply will not do and I will always push for alternatives that won’t come at the expense of commuters in Shields. Once again we see Tory neglect placing local authorities in the firing line and dividing areas, under a Labour Government our proposed Clean Air Act, would create a network of clean air zones as well as a transport strategy that would work to mitigate high levels of pollution and is something that everyone could buy into and feel was of benefit to them.